Pictured is the new portion of the plant, which pumps 8 million gallons of water per day. WESLACO — A federal grand jury demanded a multitude of Weslaco City Commission records dating back to 2009, indicating that an investigation may still be underway by the FBI, according to documents obtained by The Monitor last month. A grand jury issued the subpoena, requesting the city turn over conflicts disclosure statements submitted by former and current city of Weslaco commissioners, mayors, employees and vendors in addition to commission meeting agendas and video recordings from Jan. 1, 2009 to March 26, 2018, the day an FBI agent served the city with the four-page document. The subpoena for records, potential evidence for a criminal case, comes as rumors continue to swirl of an investigation into dealings surrounding the city’s water plant. 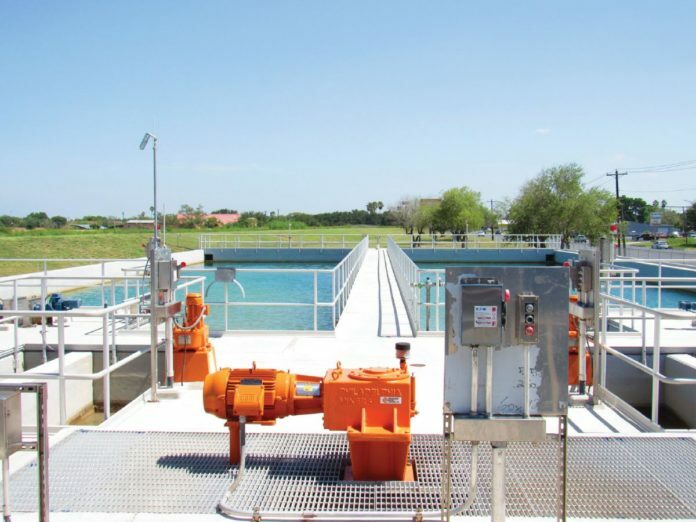 In 2011, then-commissioners issued a no-bid contract to Briones Engineering, a San Antonio-based firm hired to build the $38 million plant with construction manager at-risk CDM Constructors. Commissioners were able to award the contract and avoid the competitive bidding process because the need was deemed an emergency on grounds the city needed to increase water production to keep up with demand. It’s unclear who submitted conflicts disclosure statements during the more than nine-year period, but former Commissioner John Cuellar signed one in 2011, disclosing CDM Constructors may hire workers through a temporary staffing agency he oversaw, according to a Monitor investigation in 2013, which also found the city spent $4 million more for its water plant compared to other municipalities in the county. Cuellar declined to answer questions by phone in May about whether he had been interviewed by the FBI. The subpoena, though, does not list Cuellar or anyone else by name. While the scope of the records provided to the FBI in response to the subpoena is broad, it signals an indictment could be on the horizon. Grand juries “investigate whether a crime has been committed and by whom,” according to information provided by the FBI on its website. Grand juries indict, or formally charge, individuals if evidence and interviews provide probable cause to indicate a crime was committed. Arrests follow an indictment. However, it’s unclear where the grand jury, prosecutors and the FBI may be at in the case. The FBI does not confirm or comment on investigations, agency spokeswoman Michelle Lee previously said. Though a majority of current commissioners say they are not concerned about a potential investigation, many even welcoming one, a handful of former commissioners could not be reached for comment about the subpoena provided to The Monitor last month after the Texas Attorney General’s Office ruled in favor of releasing it under the Texas Public Information Act. Though the city asserted the document could impede an investigation, records requested by the grand jury have since been prepared by city employees and submitted to the FBI. City Manager Mike Perez, not speaking about the investigation but rather the subpoena, said city employees spent a “couple” of hundred hours preparing the records. “I can’t speak about this,” Commissioner Jerry Tafolla said in response to inquiries about the subpoena. He deferred further comment to the city’s attorney. Others on the current commission, however, freely spoke about the subpoena. The current commission members, with the exception of Tafolla, were not in office when the no-bid contract was awarded. Commissioner Greg Kerr previously said he would “invite an investigation,” and Commissioner Leticia “Letty” Lopez, who took office in 2015, said she would like “justice to be served,” if wrongdoing was committed. “I wasn’t in office when all of this happened,” she said, referring to the water plant project approved in 2011. Rodriguez and Lopez, along with current commissioners, earlier this year unanimously accepted a $1.9 million settlement paid out by San Antonio-based Briones Consulting and Engineering Ltd. and its owner Rolando Briones Jr. to the city. The city accused Briones of charging “more than double the market rate for their services” and failing to “protect the public welfare by depriving the city and its citizens of funds that could have been utilized on additional infrastructure projects,” according to the settled suit. The water plant deal, resulting in residents paying higher water rates, motivated a handful of current and past commissioners to seek office to rectify the issue, including Kerr and former commissioners David Fox and Fidel Peña. Fox and Peña said Friday the grand jury subpoena does not worry them.